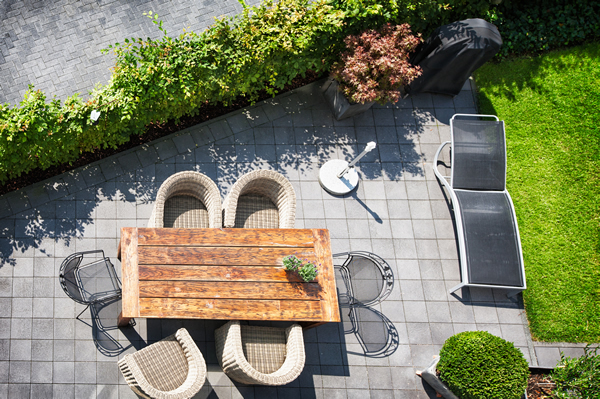 Millennial buyers love outdoor space. Big news! A recent study by the National Association of Realtors shows that millennials make up the highest percentage of homebuyers nationwide. We’ve found this to be true of our local market in the D.C. Metro area as well. We’ve also found that these younger buyers have very specific tastes. Therefore, it’s critical if you’re selling your home to prepare your home to appeal to millennial homebuyers. Even though it may not be the way you currently live in your home, or even the way you will decorate your next home, this approach can net you more money at the end of the day. So, how does one prepare their home to appeal to millennial homebuyers? We have a comprehensive plan we reserve specifically for our listings, but here is a sampling of our insider secrets. 1. First, consider the color palette of your home. Younger buyers prefer cool color tones – such as whites, grays, light creams and blues over warmer color tones like darker beige or bolder colors. While you don’t need to change everything in your house, repainting goes a long way to making homes seem more updated and millennial-friendly. Our stagers are experts in recommending colors that will complement your existing cabinet and counter colors. Of course, we can recommend changes to these as well if needed (and the budget allows). However, we are seeing that most sellers are doubling their investment when they repaint and make other appropriate color adjustments. 2. Second, swap out old hardware. These are quick fixes that go a long way. If you have older fixtures in your bathrooms or kitchens, you can go to Home Depot and switch them out for just a few bucks. Your space will instantly look updated. 3. Next, add some drama with lighting. While a little more expensive than hardware, adding more dramatic (yet still neutral) light fixtures adds some WOW factor that younger buyers love. While you may prefer a ceiling fan in your bedroom, millennials often prefer a chandelier or pendant light to make the space feel more luxurious. Again, a few hundred bucks can add instant drama! 4. Fourth, make it kid-friendly. Not all millennials have kids, but many are starting to think about that next step. When they are buying their first – or second – home, they want to make sure there are spaces convenient for nurseries and playtime. 5. Maximize outdoor space. Millennials LOVE outdoor space. Often these buyers are moving from condos and when they are making their first purchase, they want to be able to entertain outdoors. Create cozy outdoor living spaces with your furniture with a firepit and cozy chairs. If you have photos of gatherings you’ve hosted over the years, show ‘em off! 6. Finally, stage! This is the most expensive item on the list, but can make the biggest impact. Interestingly, even though they came of age during the HGTV era, many millennials don’t have the vision to see past furniture – both the style and the way it is arranged in the room. That’s why it’s critical to make the space feel like them from the outset. Great staging means great photographs, which gets buyers in the door. Once they’re inside, it gets them to envision themselves (instead of their parents or grandparents) in the space. You want them to feel immediately at home. We have countless examples of homes that sold immediately after staging went in after being on the market for months. All of these are great ways to help your home appeal to millennial homebuyers. If you have any questions, please don’t hesitate to reach out. Our goal is to help you minimize your expenses and maximize your profit. That’s why we will look at each home with a different eye to determine who the most likely buyer is and what they are looking for in their next home. We’ll create a custom plan so you’ll know you’re in good hands. Allison Goodhart DuShuttle is with Compass Real Estate. In 2017, the Goodhart Group helped 120 clients achieve their real estate goals. Led by Sue and Allison Goodhart, they have been named a Top Agent by both Washingtonian and Northern Virginia magazines. Allison can be reached at 703-362-3221 or allison@thegoodhartgroup.com.